Part of what makes this season so much fun is the baking. Every year I experiment with new recipes, find out which ones that I like best, and add them to my collection. Granted, not all of them turn out amazing, but that’s part the experience. 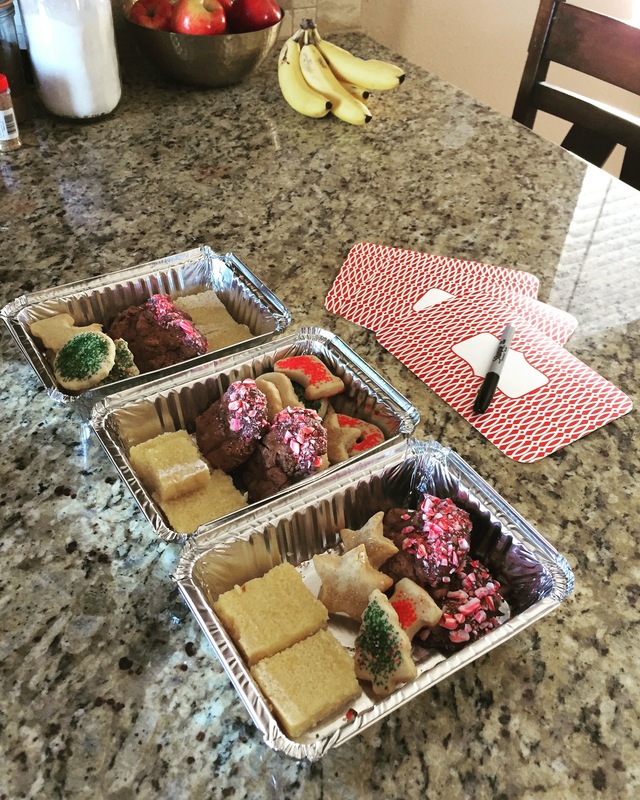 If you follow me on Instagram you would seen that I made cookies for my neighbors over the weekend. There is one recipe in particular that I would like to share with you. Every time I make these candy cane chocolate cookies I have people asking me for the recipe. Not only are they rich and decadent, but their creamy and truffle-like texture makes them the ultimate Christmas cookie. My favorite part in particular is dipping them in chocolate and then coating them with crushed candy cane. I think you’ll find that not licking your fingers will challenging! I also decided to make some Meyer Lemon Bars. I’m a sucker for anything fruity that makes its way into cookie form. These cookies are super moist and particularly tasty with a dark espresso. The tricky part for me is not to over-bake them. These cookies are a classic and too good not to bake. Last, but certainly not least are the sugar cookies. Here I used sprinkles for decoration, but icing is always a good option. I used this Wilton recipe, but there are numerous variations for this recipe. In case you’re interested, I got these cookie boxes from The Container Store. My sister used to tell me that presentation of bake goods and cooked foods is always important because it creates an initial impression on how the food will taste. That always stuck with me, so I do my best to present whatever I make in an appealing way. Do you have any tried-and-true cookies recipes? Please do share! 2 Comments on "My Favorite Holiday Cookie Recipes"